Don't be intimidated about conducting archival research, especially if it is your first time. The staff of the Library and Archives for the Rock and Roll Hall of Fame and Museum is here to help! Below are tips, strategies, and resources to help direct your research, whether it's for a school project, graduate thesis, exhibition, documentary, or other published work. Can't find the answer to your question below? Contact us. View our Visitor Orientation for in-depth information on research at the Rock Hall's Library and Archives. An archives is a collection of primary materials, or records of enduring value. It can also be the place (a building or a department) where materials are stored. An archives, or archival repository, often has multiple collections that come from or have to do with a specific kind of material, sphere of activity, subject matter, or a particular institution. 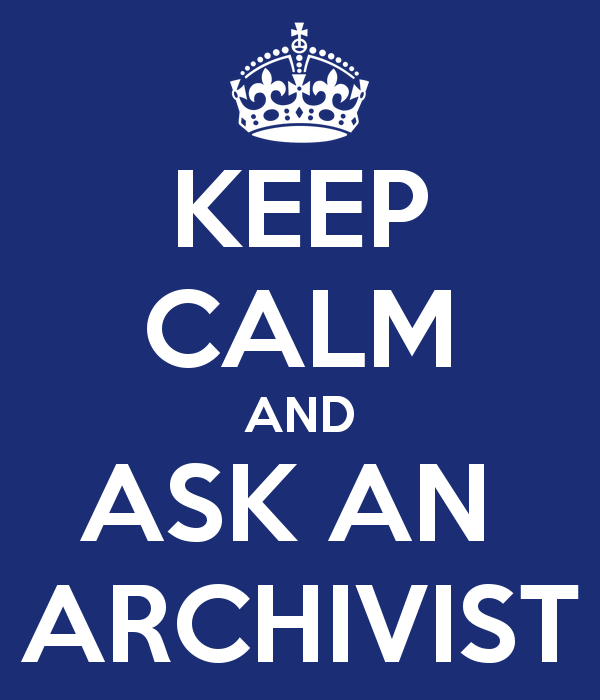 Archivists are the individuals responsible for determining historical value, acquiring, arranging, describing, preserving, and providing access to primary materials according to the principles of provenance and original order to protect the materials' authenticity and context. For more information on archival terms, see the Society of American Archivists' glossary. Archives exist both to preserve historic materials and to make them available for use. This guide, created by the Society of American Archivists, addresses the second purpose by outlining the functions and procedures of archives, and is designed both for first-time archives users and scholars who have already conducted research in archives. The content covers how archives function; how to identify appropriate archives for your research; and how to access historical materials and research at an archives. Repositories and their collecting scopes and practices may differ, but the principles in this guide should assist you in accomplishing your research goals at any archival institution. Plan Ahead. Contact the archives to determine the best schedule for your visit, discuss your research needs, and to request materials in advance. Prioritize. What are the materials that would be most helpful? Ask to see those first. Balance your workflow with the policies of the archives. After familiarizing yourself with the policies, you can better adapt your workflow to those criteria when conducting your research. For instance, audiovisual materials on defunct formats may not be available for immediate access. Institutions may not allow you to take digital photographs of materials. You may only have access to a certain amount of material at any one time. All of these things can potentially eat into your research time. Be aware of these policies. Ask for help. That's what we're here for, and there's no such thing as a stupid question when dealing with one-of-a-kind, potentially valuable historical materials! Contact us here. Take good notes and make thorough citations. You cannot "check out" materials from archives; they are unique materials that may exist nowhere else in the world. If you ask for a lot of copies, research becomes costly and time is wasted. If you need to go back and reference something again, this information may be impossible to find without a thorough citation. Consult bibliographies and cited works in books and articles on your topic. Where did those authors get their information? Contact other experts in your field. What repositories did they visit to do their research? Review websites on your topic. Do they list any archives, historical societies, libraries, museums, or special collections? Search databases like ArchiveGrid and Archive Finder, or visit the ArchivesWiki, to help you locate archival repositories and collections. See our guide on Archival Repositories & Collections for Popular Music Research. Remember when using search engines like Google that archival collections can appear in multiple guises. Be sure to search for archives, libraries, special collections, historical societies, museums, heritage or historical institutes, research centers or institutes, universities, preservation projects, historical foundations, and local history collections. Still not finding what you need? Contact the repository that seems most likely to hold what you need, and ask an archivist or librarian! Collections may not be processed, but you may still be able to gain access to them for your research; and if that repository doesn't have what you need, the staff may be able to point you in the right direction for your primary and secondary resource needs. Primary sources are generally found in the archives; however, any of these materials can be published and found in library collections. You would use primary materials in a research project after consulting all available secondary source materials on a topic. The primary materials will enable you to build upon prior research and provide your own interpretation of events. Even if nothing has been written directly on your topic, background research will help you to understand the context in which events occurred or the time and place in which a person or a corporation's activities were set. Library materials, which include books, periodicals (magazines, newspapers, journals), commercial audio and video (CDs, LPs, DVDs, Blu-rays), dissertations, and sheet music can be found by searching a repository's online catalog. In our case, library materials can be located by searching WorldCat.org. Most research institutions also subscribe to databases, like Lexis-Nexis and Academic Search, which include indexes to periodicals, abstracts of articles, and PDF images or full-text transcriptions of articles. The online catalogs of some research institutions allow users to simultaneously search not only their physical library materials but also their subscription databases. Oftentimes, research institutions will also have digital collections that may be discoverable through the catalog or a separate database. Archival materials are grouped into collections based on their provenance, or the individual, family, or organization that created or received the items in a collection. The principle of provenance dictates that records of different origins be kept separate to preserve their context. Unlike library materials, archival materials are generally not described at the item level but rather in groups in documents called finding aids. Finding aids can sometimes be located in the same online catalog that provides access to library materials, subscription database content, and/or digital collections, but are often searchable via a separate database. In our case, our finding aids are located in a separate catalog from our library materials here. This same catalog also provides access to digitized content from our archival collections. A finding aid (sometimes called an inventory, collection listing, register, or calendar) is a text document providing a description of the contents of a collection, just like a table of contents outlines the contents of a book. By using a finding aid, a researcher gets an understanding of a collection in its entirety, sees the relationships between its component parts, and locates the portions of a collection pertinent to research. Finding aids sometimes provide narrative portions describing the background of a collection (how and when it was formed, how the archives acquired it, etc. ), and how the archival staff has arranged the materials in the collection. Here is an example of a finding aid from our collections. Please note, when you search library and archives catalogs, you can often limit your search results through the facets on the left-hand side of the screen, by the format of material (book, audio, video, musical score, archival material, etc. ), collection name, type of archival material (documents, graphic materials, moving images, digital, etc. ), name or subject heading, and more. For those of you particularly interested in archival research, you can facet your search by Archival Collection in our catalog, which links you to the finding aid for the collection; or Archival Item, which links you to the individual materials in a collection (a series, folder, or item) that relate to your search. Most research institutions will post information regarding the use and access of their collections on their websites, which can vary widely from place to place. If you can travel to the repository where your resources are located, be sure to check with staff well in advance of your visit regarding their policies and procedures for access to the materials. The institution may have limited public hours, and/or you may need to make an appointment. If you cannot travel to the repository where your resources are located, there may be other options. Materials may be available through interlibrary loan, which means you can borrow that institution's materials through your local library. Please note the Rock Hall's Library and Archives does not have an interlibrary loan program, but you can see if library materials may also be available for you to check out at another library near you. Archival materials may be available through scans or photocopies from the repository for a fee. Be sure to check with the staff regarding duplication. You may also be able to hire a local researcher to access the materials on your behalf. Finally, the staff of some institutions may answer simple questions by viewing the materials for you, contact them to find out! Here at the Library and Archives, our hours, information on access to the collections, using the Reading Room, duplication fees, internet access, and anything else you might need to know for your visit are all available on our website, but if you find yourself with any questions, please don't hesitate to contact us!